If you are POOR an living in Little Haiti Miami, it's time to move out, you have no choice! The last few remaining cheap apartments for rent in Little Haiti Miami are being demolished. Some tenants were given a 30-days notice to move out. But where will they go? There are no more cheap apartments in Little Haiti! When we say cheap, these tenants were still paying $1,000/month for rent but the living condition is simply miserable. 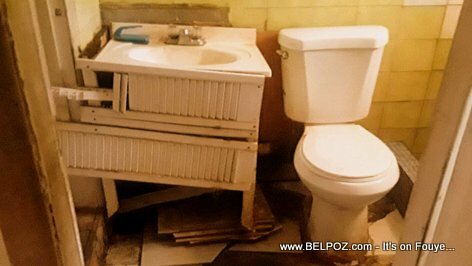 WLRN reports elderly Haitians living in cockroach infested apartments where they have to put buckets when it rains to catch rain water inside the apartment or in the bathroom to catch sewage water when the tenant upstairs flushes his toilet. Soon, even that wont be available because these building are being demolished to make room for more expensive apartments that these poor Haitians unfortunately will be be able afford. The irony is these retired Haitians can live like a king in Haiti with that retirement check!